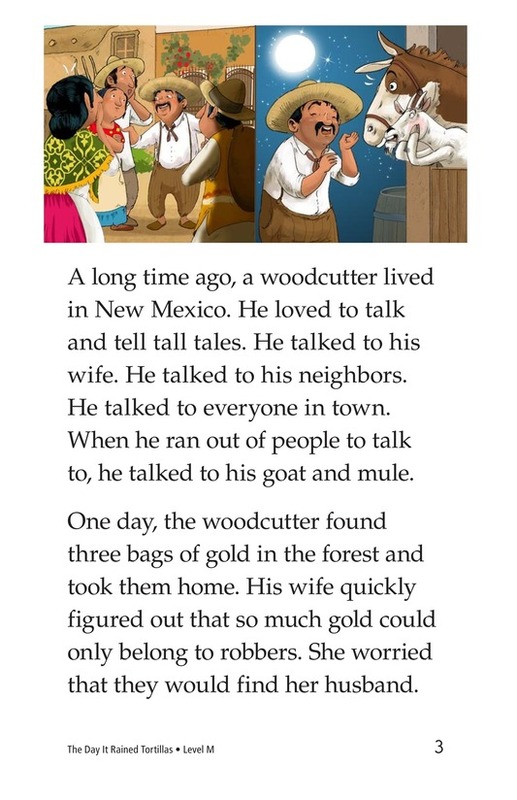 One day, a very talkative woodcutter finds three bags of gold and tells everyone in town about it. 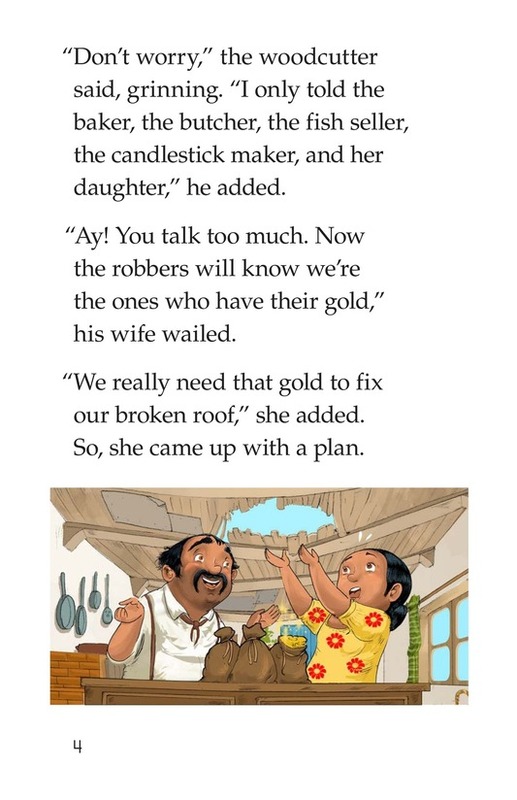 His wife quickly realizes that the gold must belong to robbers, and they will soon be looking for it. 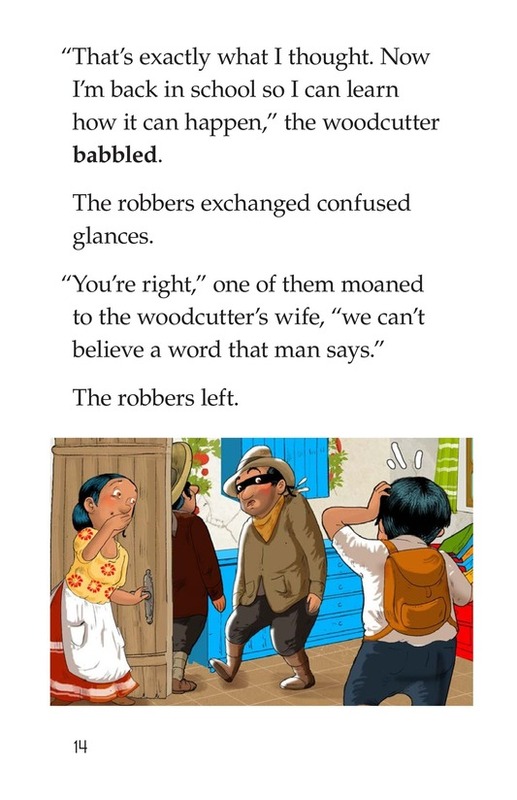 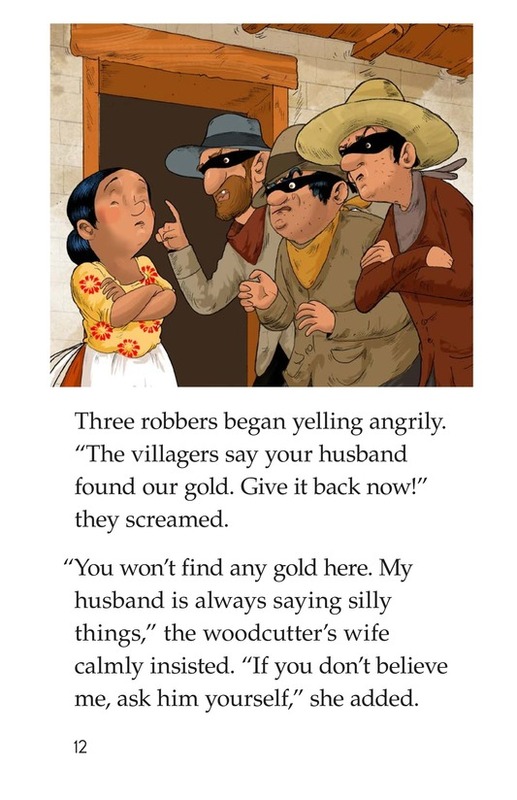 With some quick thinking and creativity, the woodcutter's clever wife creates a way to keep the gold without the robbers or her husband ever figuring it out. 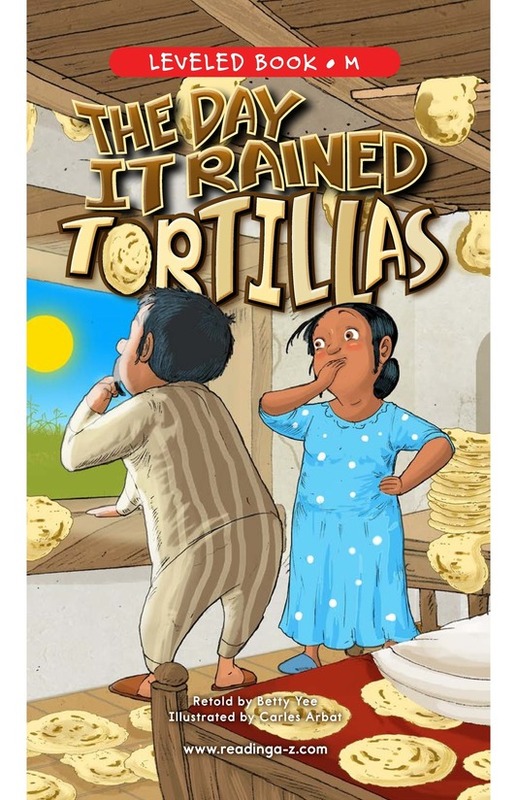 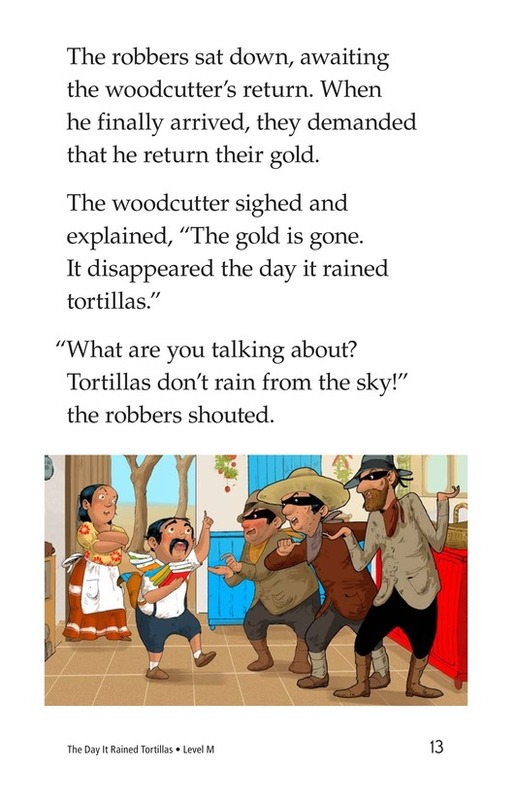 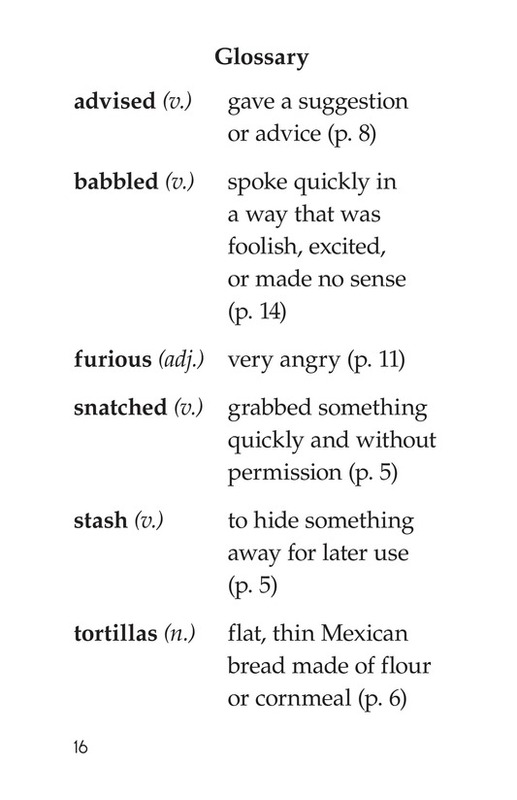 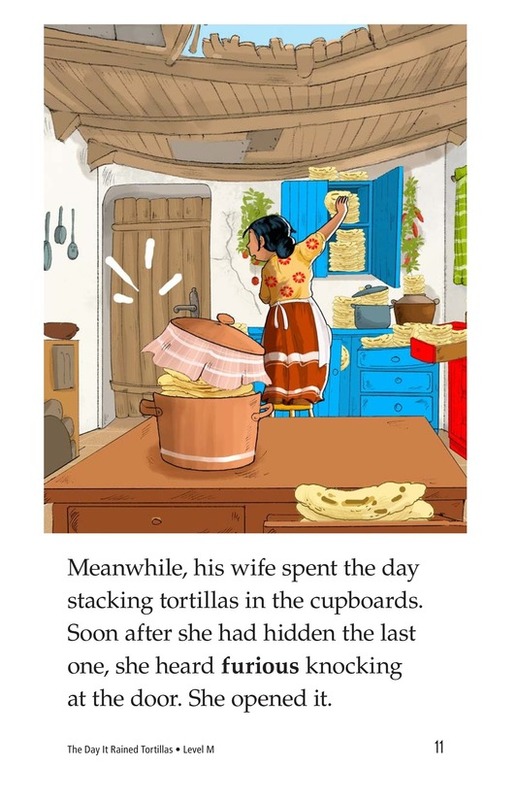 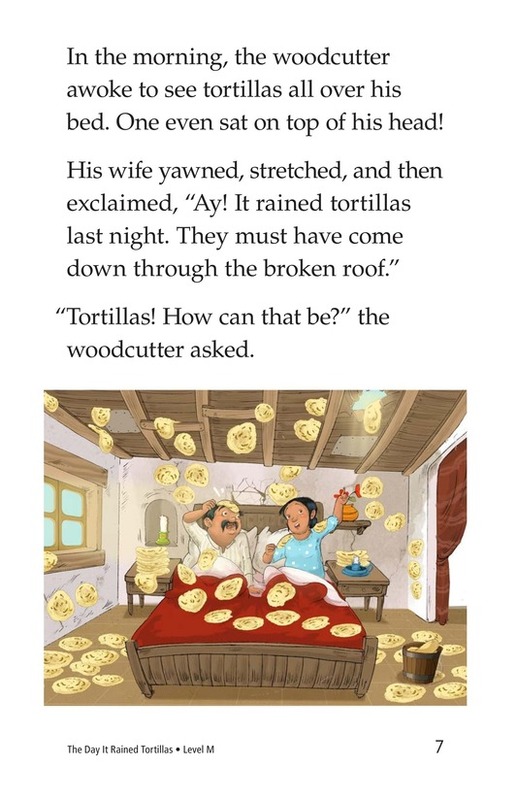 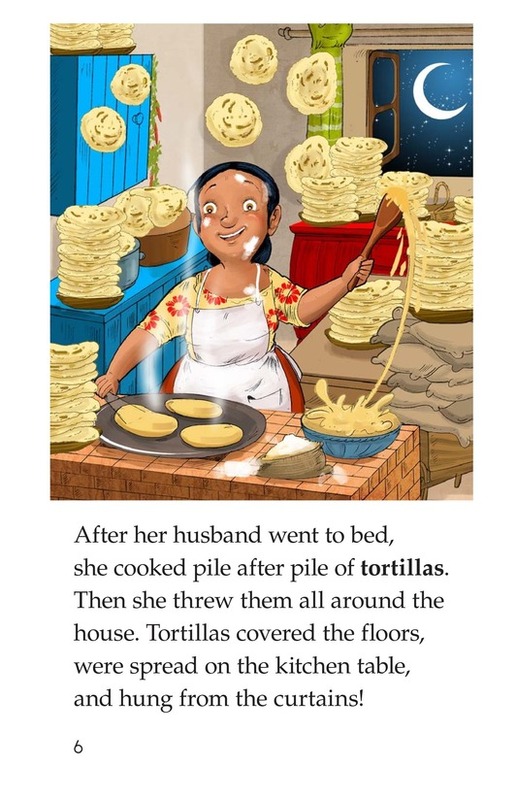 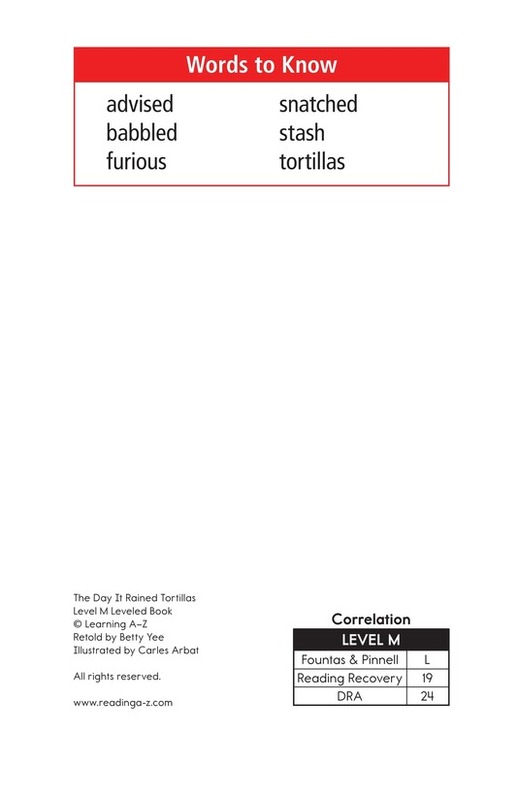 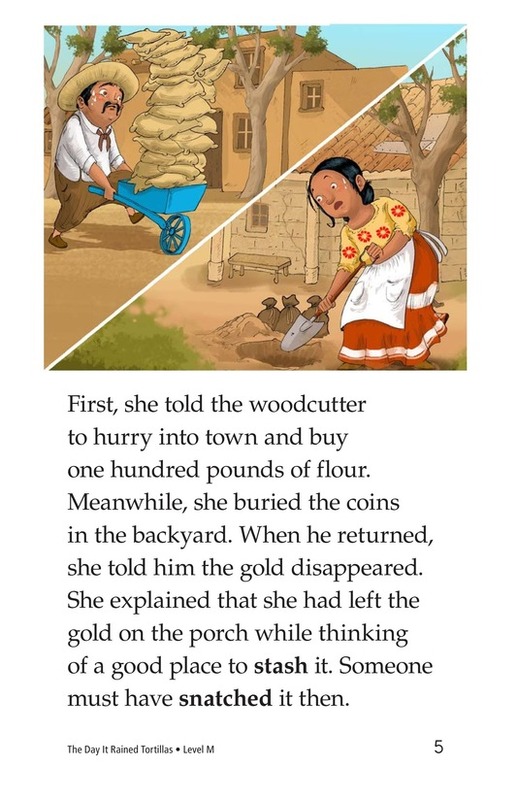 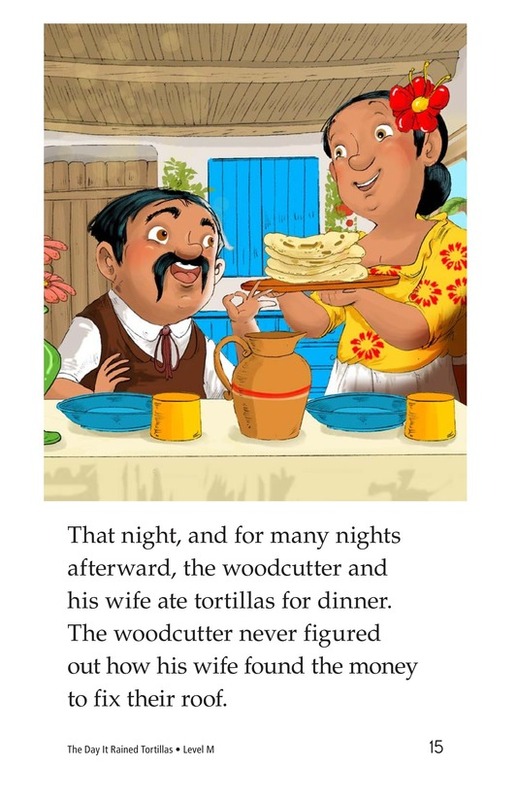 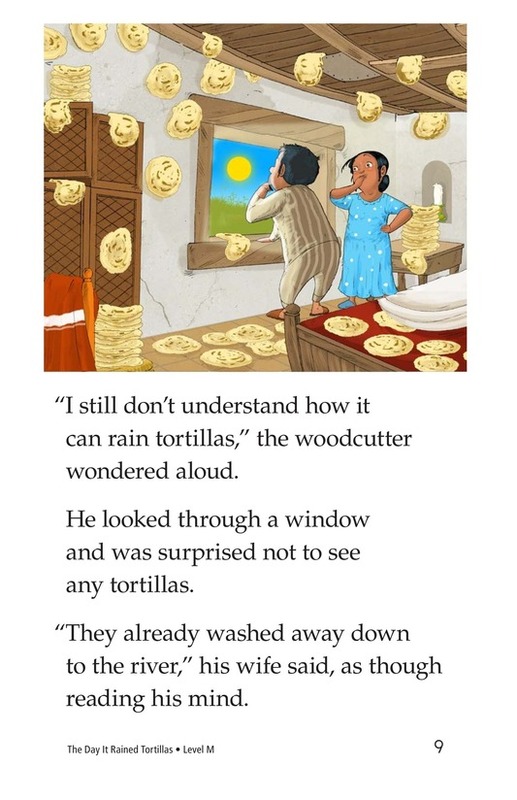 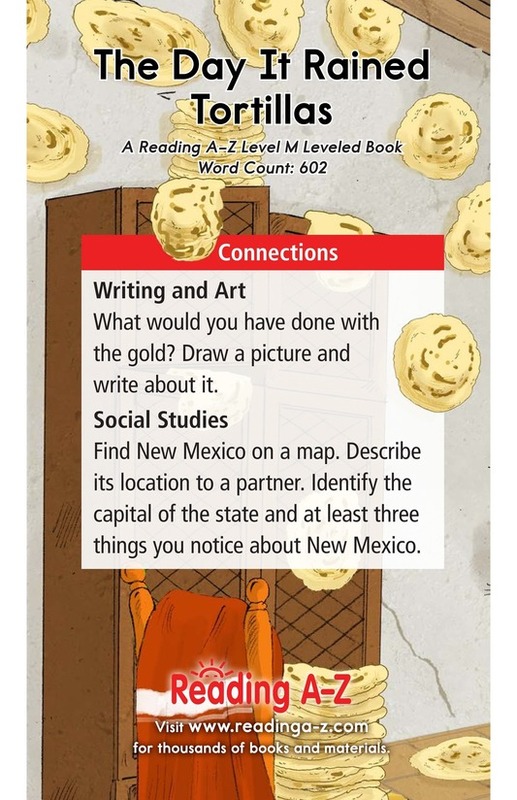 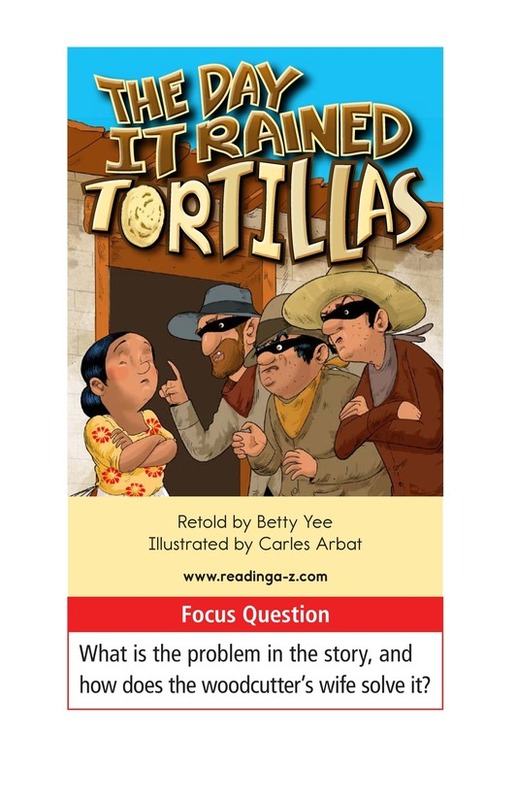 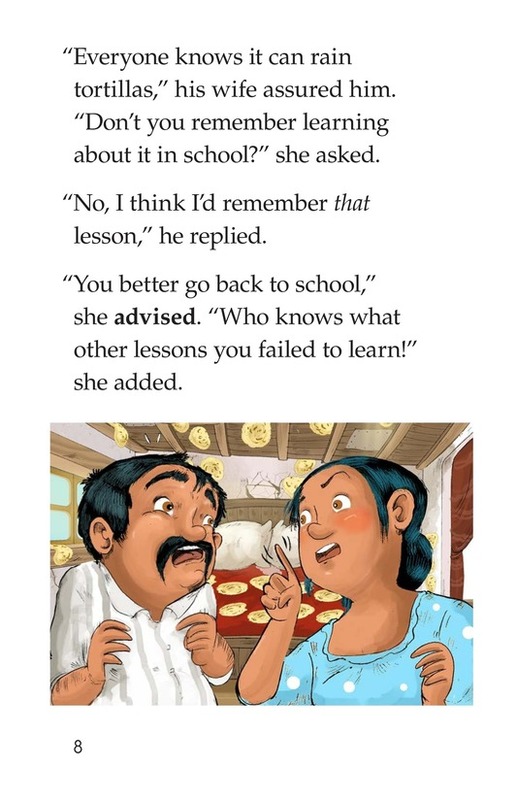 The Day It Rained Tortillas is a delightful folktale that can be used to teach students how to identify problem and solution and retell to understand text.